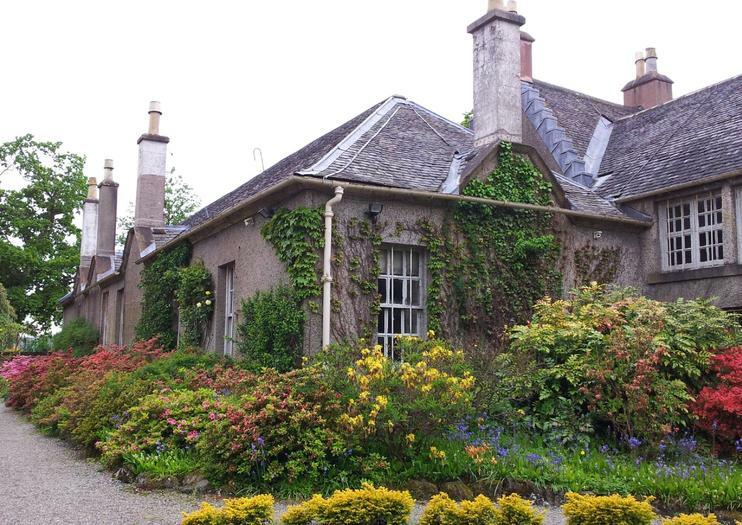 A typical country estate garden with a burn winding through its woodland glen toward the River Clyde, Geilston Garden was landscaped over two centuries ago and it’s typical of small country estates of the time. Geilston has its own walled garden that’s become known for its 100-foot Wellingtonia tree in the middle of the lawn, and come springtime, its azaleas and heathers. There’s also a kitchen garden which comes alive every April with the first sowings of carrots, parsnips and beetroot. In season, you can buy the garden’s produce — fruits, flowers, and vegetables from a small stand near the entrance to the garden. Geilston House, thought to have been built in 1766, is currently not open to visitors.